Commercial Mowing in Garner by Jason's Quality Landscaping, Inc.
Jason's Quality Landscaping, Inc. has been mowing Garner lawns and cutting commercial Garner grass for more than 25 years. Garner commercial mowing services include grass cutting, edging, weed removal, as well as mulching or bagging and removal of grass clippings. Jason's Quality Landscaping, Inc. provides professional mowing services to Garner businesses. Jason's Quality Landscaping, Inc. also offers Garner mowing customers a professional staff which visits their home. 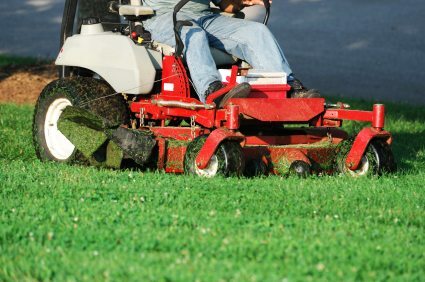 Since customers who crave Garner North Carolina mowing services want knowledgeable, well-trained individuals to come to their office, Jason's Quality Landscaping, Inc. makes it a point to only send the best to complete these mowing jobs. Customers of Jason's Quality Landscaping, Inc. also receive excellent services at reasonable prices. Those who need to have their lawn cut don’t need to pay a fortune for Garner mowing services. Therefore, Jason's Quality Landscaping, Inc. offers competitive pricing for their customers to enjoy. Just think how wonderful proud you will feel to have a lovely manicured lawn and perfectly edged features for your customers and guests to enjoy, all at a great price. If you desire Garner, North Carolina commercial mowing services, Jason's Quality Landscaping, Inc. is ready to answer your call. Simply contact Jason's Quality Landscaping, Inc. at (919) 214-9134 today and take advantage of excellent Garner mowing services. You will love the results every time you step outside!